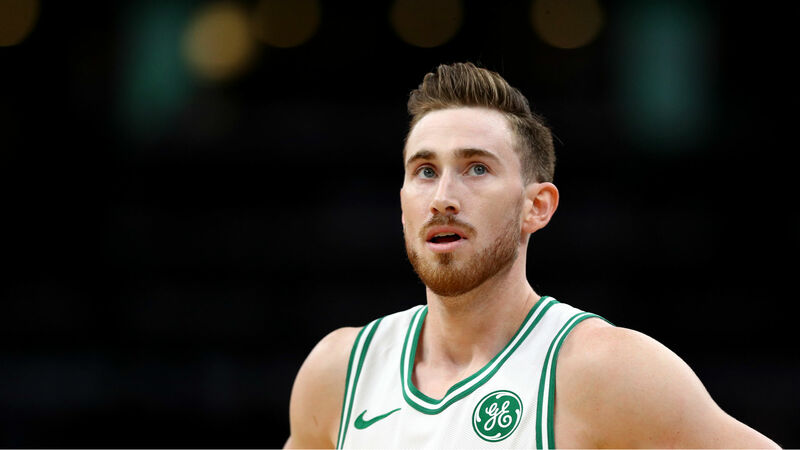 Gordon Hayward did not receive a warm reception from Jazz fans on Friday as he returned to Utah for the first time since signing a four-year, $128million contract with the Boston Celtics in July 2017. Hayward was booed loudly during the pre-game introductions and every time he touched the ball during the warm-ups. One Utah fan was even seen wearing an old Hayward jersey, which had 'Coward' on the nameplate. The Jazz duly held on for a 123-115 win over Boston. Hayward scored 13 points and dished out seven assists in 26 minutes on the floor. Before the contest, the Jazz had tweeted a video bearing the message 'Welcome back, Gordon', but it appears many of their fans were not so keen to see the 28-year-old.